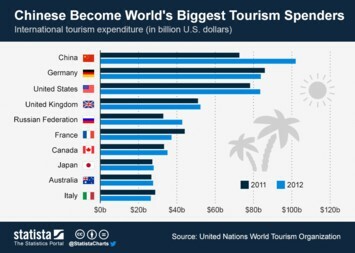 2017 was a good year for global tourism. 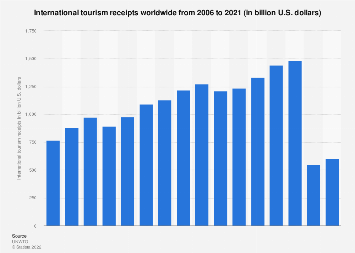 The World Tourism Organization (UNWTO) published its 2018 report on international tourism trends, finding that 2017 experienced the highest growth in international tourist arrivals since 2010. 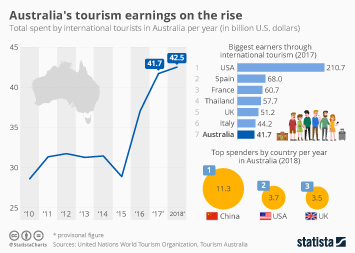 That was due to a combination of factors, such as strong economic conditions, higher demand in emerging markets and the recovery of destinations suffering from security challenges. 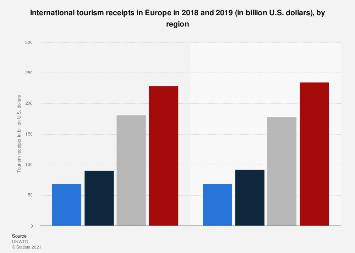 The total number of tourist arrivals last year was 1.32 billion, up 7 percent on 2016, while tourism receipts went up 5 percent to $1.34 trillion. 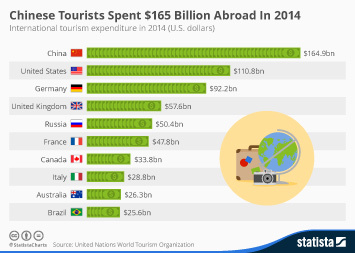 In 2017, France was the world's most-visited country with 86.9 million arrivals, ahead of Spain's 81.8 million and the USA's 75.9 million. 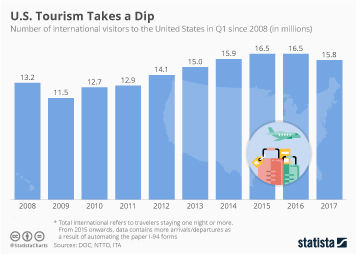 Some observers feared that President Trump's actions and rhetoric could deter tourists and last year, U.S. arrivals fell 3.8 percent. 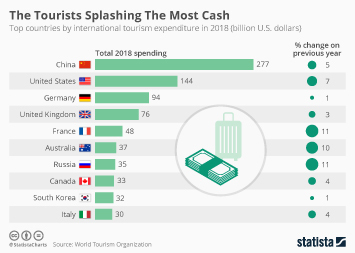 Despite the decline, however, spending still increased 1.9 percent to reach $210.7 billion, drastically higher than France and Spain combined. 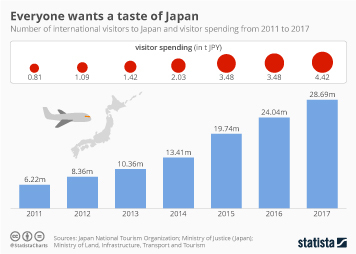 This chart shows the number of tourist arrivals and total inbound expenditure in 2017.